Practice Chat allows you and your team to communicate quickly and effectively in your practice. Notes: Please ask your staff members to log out and back in after you've activated the Practice Chat tool. 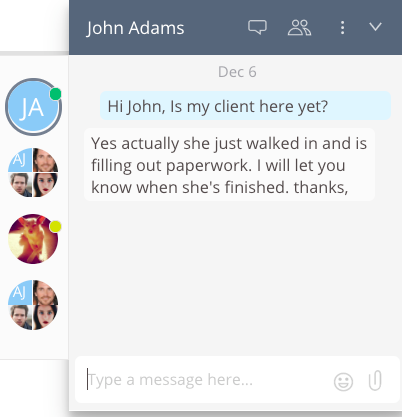 Practice chat is currently available by logging into TheraNest from a web browser, either on your computer or device. Chat one-on-one or in a group message. See who is logged in or away and for how long. Minimize and expand the chat, so it is visible only when you need it. 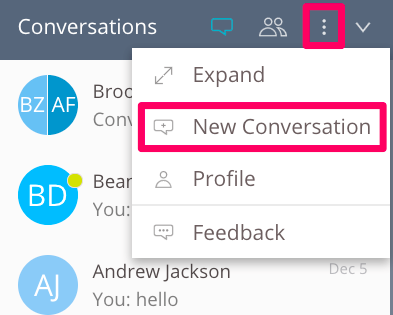 To get started using Chat, find the dark blue chat bar in the lower right corner of any TheraNest page. 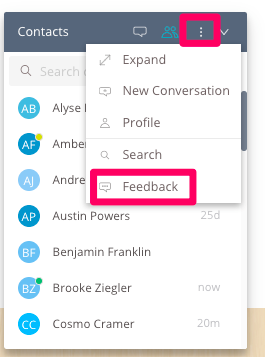 Select the arrow to expand the chat window. You will also use the arrow to minimize the chat window when you don't want chat to be visible. 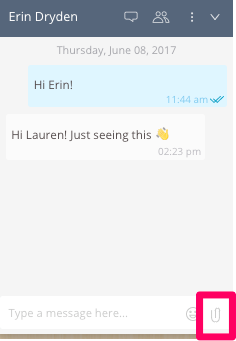 To start a chat with one other person, click the people icon and double click on the person you want to message. You can also search by name. 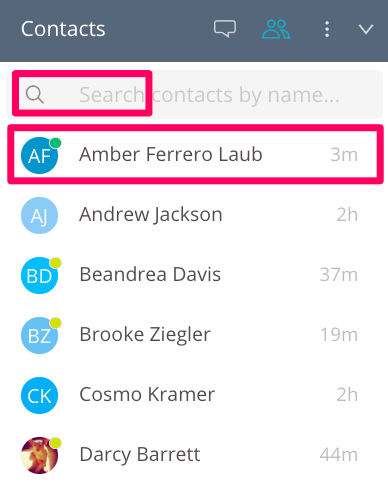 To start a group chat with more than two people, click the three dots icon > New Conversation > check the appropriate staff members > Create Conversation. 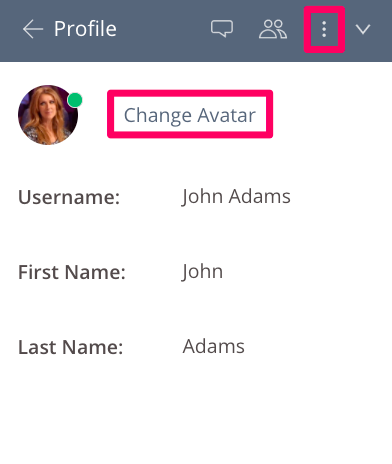 You can attach images and files to a chat message to be shared with one team member or a group. Create a new conversation or open an existing chat message. 3. 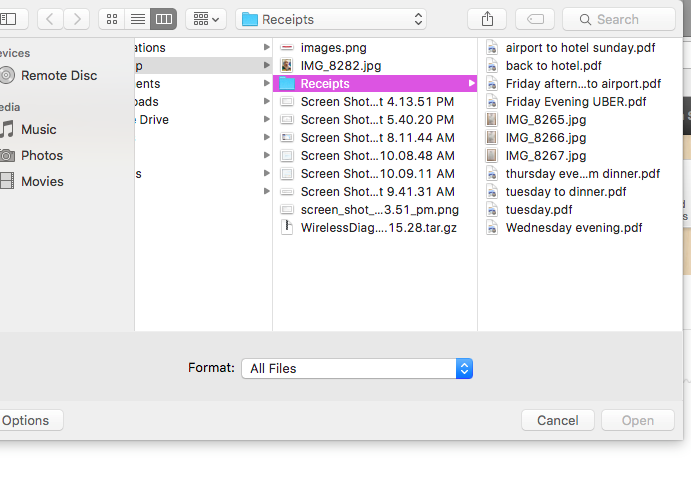 Select the file from your computer to share with your team. You can add a profile picture to show off your smile! To upload a photo click the three dots icon > Profile > Change Avatar. To see all the messages in your individual chat inbox click the chat box icon. 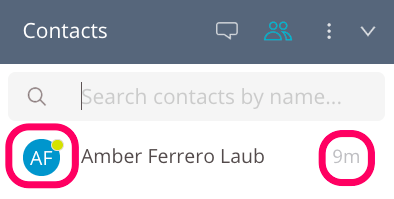 You can also enter keywords to search for particular conversations in your inbox. 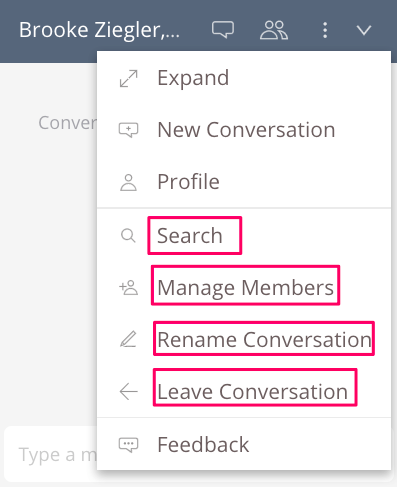 Once you have a message thread created with an individual or a group you have the option to change: who is in the conversation, rename the conversation, and also to leave the conversation. 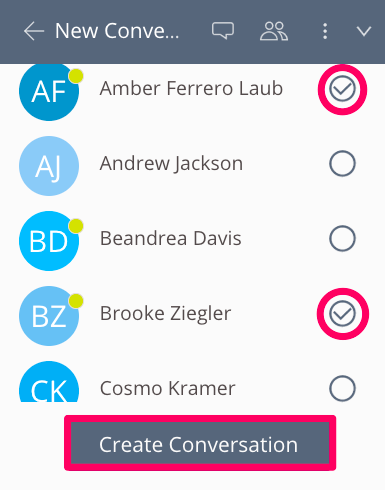 You can use chat to keep track of staff members around the office. You will see who is currently logged into TheraNest by the green or yellow dots by each staff member's name. The green dot means the staff person is actively using TheraNest. The number of minutes the staff member has been active appears to the right of the name. The yellow dot means the staff member is logged in, but not actively using TheraNest. The number of minutes since the staff member was last active appears to the right of the name.